Next, for those of you that doubt the accuracy of my analysis; who choose to belittle the depth of my research or the reluctance I had to overcome in order to face the horrible truth…..Please read this article. *ALL* the links you see embedded in this very well-researched piece completely back-up the author’s statements. I suggest, for the 50% of you out there that still choose to believe the official mythology regarding 9/11 that you spend some time clicking and reading these links. 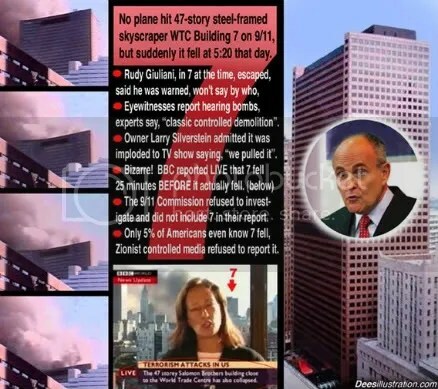 According to the Government’s own report, that 47 story, reinforced building that you just saw from different angles collapse perfectly into it’s own foot-print at free-fall speed……collapsed due to FIRE. Makes you wonder why they bother using explosives at all? Why not just set old buildings on fire? 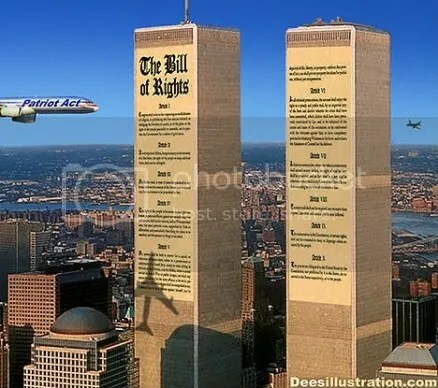 I hope on this anniversary of the terror-attacks, you remember all the innocent lives lost here and abroad, and the ever-increasing destruction of our bill of rights…..all for a LIE. 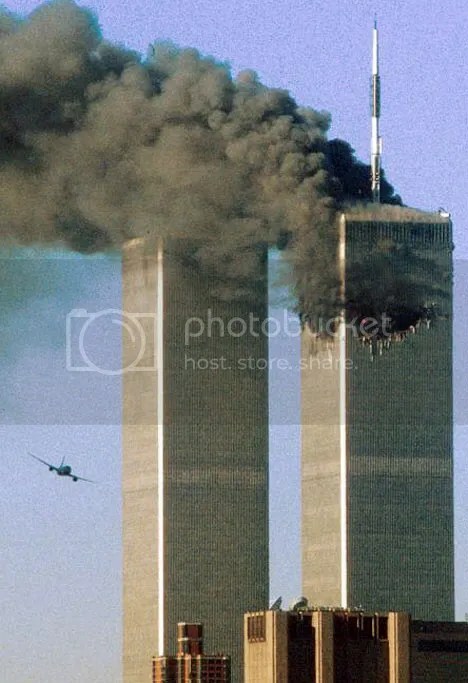 I don’t talk about 9/11 much anymore. Those that know…know. Those that don’t…well, maybe when “Homeland Security” starts conducting random searches in their homes they will wake-up. But I doubt it. God Bless us all….we need it. An earlier version of this report was published at Global Research. Below is the revised version. 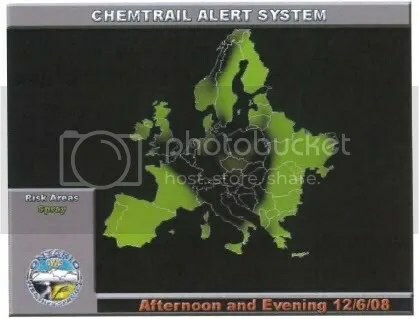 At an international symposium held in Ghent, Belgium May 28-30, 2010, scientists asserted that “manipulation of climate through modification of Cirrus clouds is neither a hoax nor a conspiracy theory.” It is “fully operational” with a solid sixty-year history. Though “hostile” environmental modification was banned by UN Convention in 1978, its “friendly” use today is being hailed as the new savior to climate change and to water and food shortages. Military forces stand poised to capitalize on controlling the world’s weather. The only conspiracy surrounding geoengineering is that most governments and industry refuse to publicly admit what anyone with eyes can see. Peer-reviewed research is available to anyone willing and able to maneuver the labyrinth of scientific journals. So, while there is some disclosure on the topic, full public explanation is lacking. 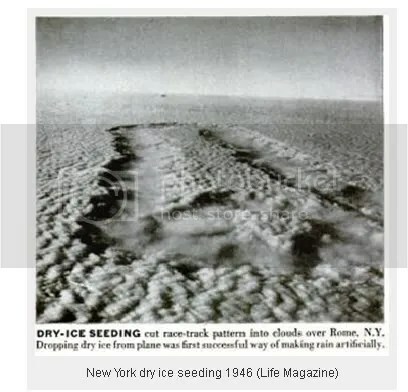 A brief list of confirmed cloud seeding events is produced at bottom, starting in 1915. 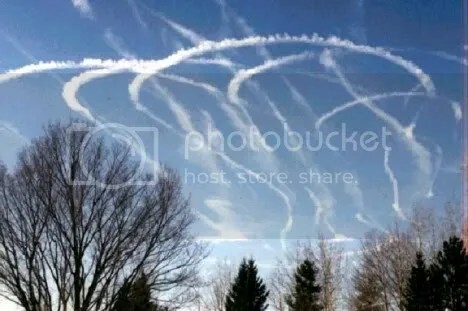 Going under a variety of names – atmospheric geoengineering, weather modification, solar radiation management, chemical buffering, cloud seeding, weather force multiplication – toxic aerial spraying is popularly known as chemtrails. However, this is merely one technique employed to modify weather. The practice of environmental modification is vast and well funded. Hosted by the Belfort Group, which has been working for the last seven years to raise public awareness of toxic aerial spraying, the Symposium included chemtrail awareness groups from Greece, Germany, Holland, France and the U.S. Belfort published five videos covering only May 29, when filmmaker Michael Murphy (Environmental Deception and What in the world are they spraying) and aerospace engineer Dr. Coen Vermeeren  gave the most dramatic presentations. The report spends some time on HAARP, the High Frequency Active Auroral Research Program,  which is a military endeavor focused on manipulation of the ionosphere, magnetosphere and atmosphere, and on other exotic weapon systems that manipulate the environment. 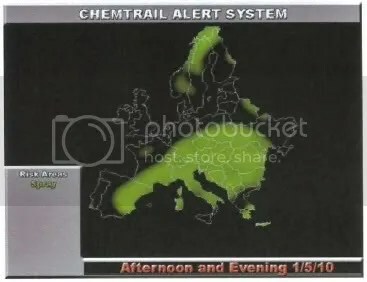 While related, they go beyond this discussion of chemtrails. In the interest of brevity, the health and environmental implications of cloud seeding is not discussed in any depth herein. Case Orange does go into it, as did most of the speakers at the Belfort Symposium. Cursory research reveals a debate among researchers as to chemtrail toxicity, but whether that’s a 50-50 or 99-1 argument is unknown. Case Orange rejects use of the term ‘chemtrails’ because it is associated with amateur conspiracy theorists. The only credible document it could find that uses it is the Space Preservation Act of 2001 introduced by U.S. Representative Dennis Kucinich (D-OH). H.R. 2977 sought to ban the use of exotic weapon systems that would damage climate, weather, tectonic and biological systems. 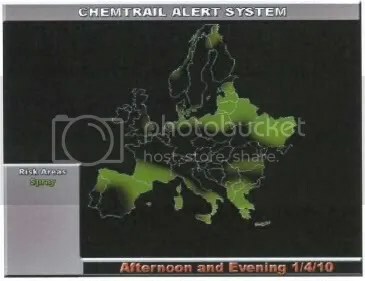 “Chemtrails” are specifically listed. Though later removed, no version of the bill ever became law. Instead, the writers prefer the term ‘persistent contrails’ to describe the phenomenon since all contrails are chemtrails. ‘Persistent contrails’ distinguishes those that contain weather-altering additives from those that represent normal aircraft exhaust that dissipates after a few seconds or minutes. Case Orange also rejects misanthropic intentions behind persistent contrails on the assumptions that 1) public health agencies have the public interest at heart; and 2) the economy is consumer driven. The authors indicate no awareness of numerous reports of collusion between the pharmaceutical industry and government health agencies. This year, a significant conflict-of-interest report appeared in the prestigious British Medical Journal, which further heightened suspicions that the H1N1 flu and its vaccines were a scam. Nor do the authors consider that sick people will spur economic growth in a capitalist (for profit) health system. Dr. Vermeeren gave his own introductory remarks and conclusions, but spent the bulk of the hour presenting information from Case Orange. 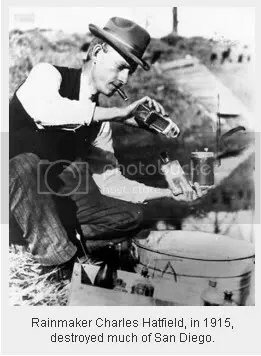 He frankly admitted the existence of persistent contrails. In 2009, researchers published “Modification of Cirrus clouds to reduce global warming,” which proposed two methods of delivery for this same proportion of metallics to silica and the same staying power of one to two weeks. Case Orange presents evidence that Raytheon stands to control all weather, which the authors find repugnant given that it is a private corporation. The authors recommend suing private corporations instead of governments. But subcontracting is quite common for governments and agencies, especially the US military. The distinction between large, powerful corporations and governments is a fine line obscure to common folk. And, the effect is the same whether governments are spraying us with nano-sized metals, chemicals or biologicals, or whether corporations do. The authors’ protective posture toward governments is nonsensical. Since 2007, billionaire Bill Gates has spent at least $4.5 million on geoengineering research. Since reducing emissions is not popular with industry, ‘Plan B’ – geoengineering – is being touted as the answer to climate change and water shortage. A longer description of Plan B is: Add more pollution to the sky and water to offset the deleterious effects of industrial pollution, without reducing industrial pollution. Indeed, several watchdog groups recently ramped up calls to address clean water shortage. “At the end of July 2010, the United Nations General Assembly will vote on an important resolution, initiated by the Bolivian government, which would make clean water and sanitation a human right,” reports Food and Water Watch. This year, National Geographic and Yes! Magazine dedicated entire issues to water. 2005 Introduce ‘carbon black dust’. In 2007, the World Meteorological Organization (WMO) published its position statement that included “Guidelines for the Planning of Weather Modification Activities.” Acknowledging that the modern technology of weather modification began in the 1940s, WMO asserts it is still “an emerging technology” today. WMO indicated disappointment that research is being abandoned for operations. Case Orange contains no reference to the WMA position statement citing all that research, although it cites the group. 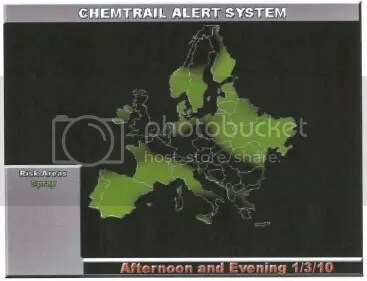 Nor does it mention the World Meteorological Organization, an agency of the United Nations, which has a link to its Weather Modification portal on its Index page. “[O]ur investigation team comes to the conclusion that climate control programs, controlled by the military but approved by governments, are silently implemented in order to avoid the worst case scenarios they obviously do not want. The two basic instruments are temperature control through generation of artificial clouds and manipulation of the ionosphere through ionosphere heaters. Case Orange agrees that climate change needs to be addressed. Regarding Climate-Gate, the authors suggest that the University of East Anglia deliberately manipulated the climate data to gradually prepare the global population for its future on a hotter planet. They also cite research that supports the notion that climate change is real. During the three-day grounding of most aircraft after 9/11, scientists noticed an increase in temperature of 1.1 °C (2 °F). This is an astounding increase in such a short time frame. The incidence of cloud seeding reports by the public increases exponentially after this. “Persistent contrails,” however, “have a devastating impact on eco-systems on this planet and quality of life in general.” Case Orange joins the call of Bill Gates’ geoengineering advisor and the WMO for new research measuring the impact on human health and the environment from EnMod programs. Case Orange also recommends an immediate and full disclosure of current EnMod activities to the public; and that all civil aviation laws be abided. Of note, in response to policy interest in geoengineering as a means to control climate change and enhance water supplies, on May 14, 2010, the science subcommittee of the United Nations Convention on Biological Diversity proposed a geoengineering moratorium. This proposed ban on “friendly” EnMod programs will be heard at the Tenth Conference of Parties to UN Convention on Biodiversity in Nagoya, Japan this October. The secretary of defense may conduct tests and experiments involving the use of chemical and biological agents on civilian populations. Public law of the United States, Law 95-79, Title VIII, Sec. 808, July 30, 1977. Codified as 50 USC 1520, under Chapter 32 Chemical and Biological Warfare Program, Public Law 95-79 was repealed in 1997 by Public Law 105-85. In its place, 15 USC 1520a provides restrictions (such as informed consent). 50 USC 1512, however, allows open air testing of chemicals and biologicals and allows presidential override of notices and of public health considerations for national security reasons. Case Orange authors are thus correct, it seems, in asserting that such programs are legal, if reprehensible, in the U.S.
For centuries, military leaders have recognized that it rains after a heavy battle. But harnessing that power in a way that doesn’t cause a deluge like in San Diego in 1915 has been a task. (See Brief History, below.) 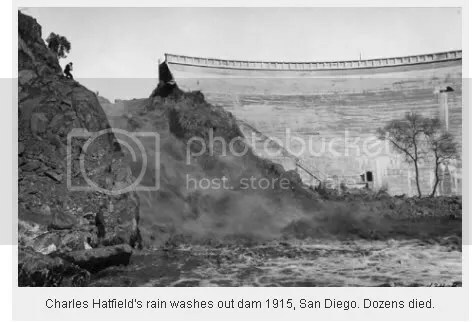 The historical record has many such stories: misdirected hurricanes, farm wars, massive flooding and mudslides. Eventually, though, science met the challenge. If its birth can be marked by Britain’s successful use of chaff in 1943 to jam enemy radar, the modern environmental modification program is 67 years old. We saw its military use in Vietnam in the 1960s. 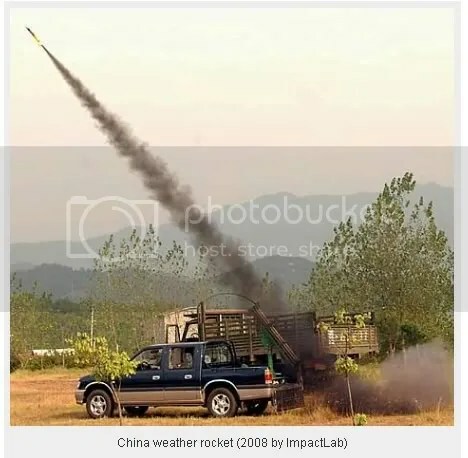 China openly used it in 2008 to clear the skies for the Olympics. In 1978, world leaders addressed the moral and ecological issues of using such technologies as a weapon of war by banning their use. Almost thirty years later, in 2007, the World Meteorological Organization complained that EnMod funds were moving from research into operations. Three years later, in May of this year, the United Nations proposed the ban of EnMod operations, calling for further research. Even with a couple obvious holes in research, the Case Orange report is essentially correct: officials are spraying the skies, and they’re not fully disclosing these activities. Corporate media is colluding with officials in keeping these operations secret from the public. But, the public has a right to know and governments have a duty to fully disclose all environmental modification operations. The impacts on our health and environment need to be fully understood, and informed consent from the populace needs to be a part of any EnMod operation. 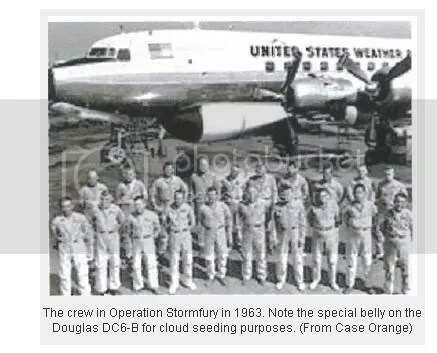 Cloud seeding, as a US military research project, began as early as the 1830s, according to Colby College professor, James R. Fleming. Verifiably successful rainmaking attempts did not occur until 1915. This is by no means a comprehensive list; indeed, volumes are dedicated to the subject. 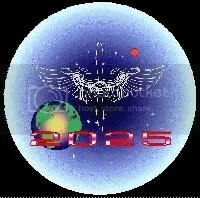 Space Preservation Act of 2001, H.R.2977, 107th Congress, 1st Session. Introduced by U.S. Representative Dennis Kucinich. Eli Kintisch, “Bill Gates Funding Geoengineering Research,” Science Insider, 26 Jan 2010. http://blogs.sciencemag.org/scienceinsider/2010/01/bill-gates-fund.html. Fleming, citing New York Times, 15 Nov 1946, 24. Alex Jones is fired up…and we should be too! We need to say NO to tyranny, and NO to more laws taking away our rights… all because of some lunatic that went on a killing spree. NO to Gun Control! No to Banker Bail-outs! No to Internet ID! No To the patriot act! No to TSA Naked body scanners and gropings! No to Tyranny!